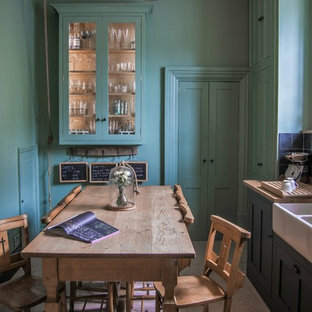 Glazed oak cabinet with LED lights painted in Farrow & Ball Chappell Green maximise the space by making the most of the high ceilings. The unified colour also creates a more spacious feeling. Pine table with chapel chair hint at the origins of the house as an old chapel with the limestone flooring adding to the rustic feel. 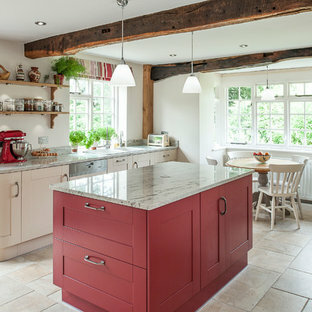 This new kitchen sits effortlessly alongside the aged stonework of the barn. Respecting the old whilst adding a hint of modern luxury. 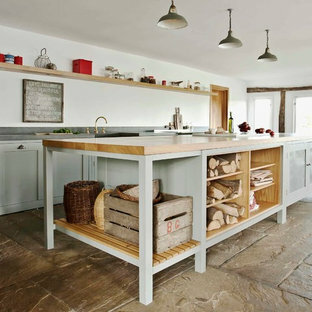 Sustainable Kitchens - A Traditional Country Kitchen. 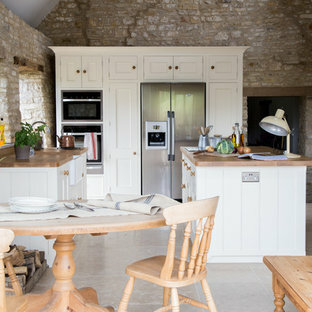 17th Century Grade II listed barn conversion with oak worktops and cabinets painted in Farrow & Ball Tallow. The cabinets have traditional beading and mouldings. 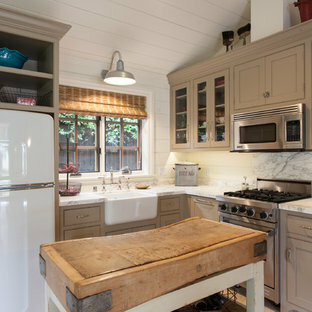 The 300 year old exposed bricks and farmhouse sink help maintain the traditional style. There is an oven tower and American style fridge and freezer combination with a larder on either side. The beams are original. 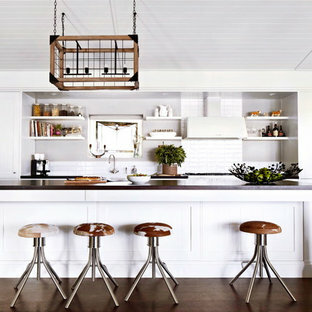 Houzz Kitchen of the Week April 8, 2016. Kitchen renovation for Victorian home north of Boston. Designed by north shore kitchen showroom Heartwood Kitchens. 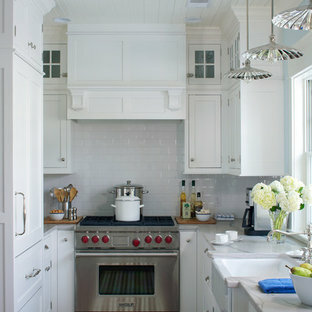 The white kitchen custom cabinetry is from Mouser Cabinetry. Butler's pantry cabinetry in QCCI quarter sawn oak cabinetry. The kitchen includes many furniture like features including a wood mantle hood, open shelving, beadboard and inset cabinetry. 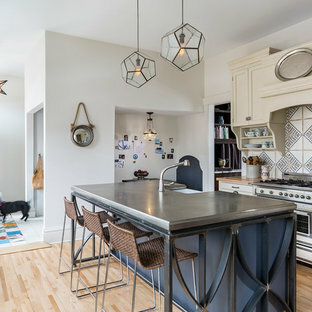 Other details include: soapstone counter tops, Jenn-Air appliances, Elkay faucet, antique transfer ware tiles from EBay, pendant lights from Rejuvenation, quarter sawn oak floors, hardware from House of Antique Hardware and the homeowners antique runner. General Contracting: DM Construction. Photo credit: Eric Roth Photography. 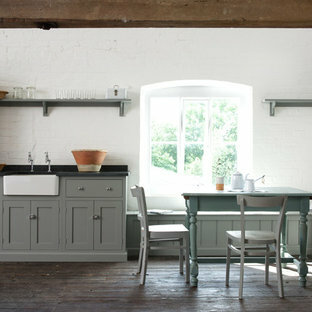 Gourmet kitchen designed around locally acquired historic apothecary casework. Photo by Blake Mistich. Charterhouse No.4 Kitchen Cupboards. Alderman No.60 Kitchen Table. Bond Street No.219 Kitchen Cabinets Kitchen by Middleton Bespoke Interiors.